Please help me with the error as seen in the pics below. 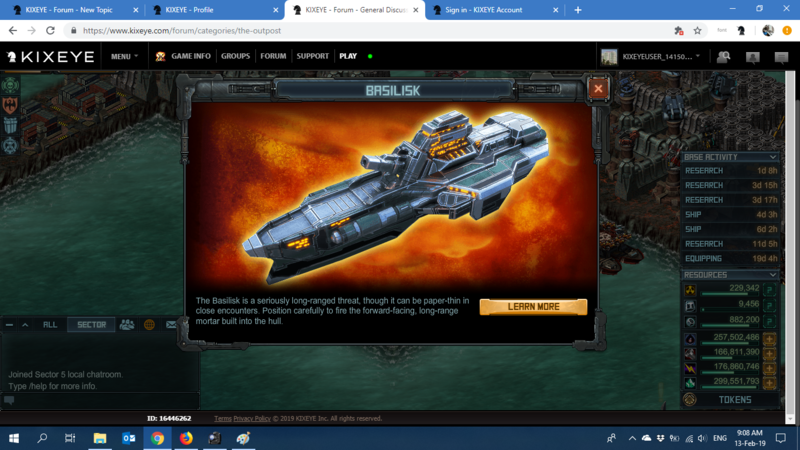 I am currently playing, with an account lvl 69 in sector 5, on both Kix website and facebook. 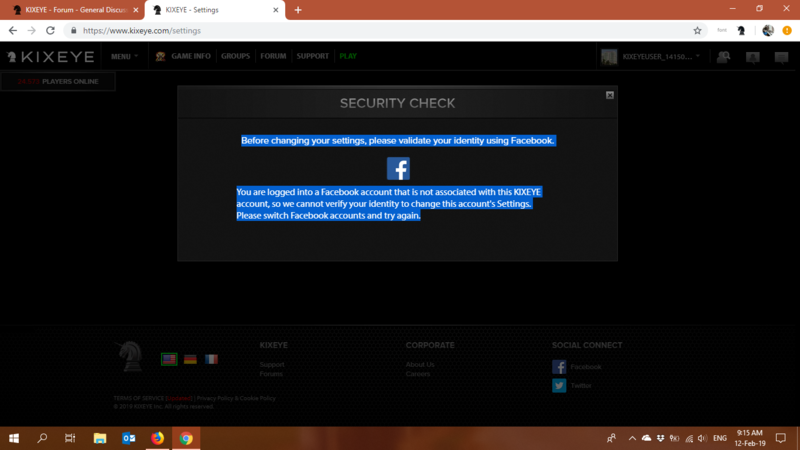 But when i go to www.kixeye.com/settings to edit my porfolio, it asked me to login to Facebook to verify, and i did logging in just to see an error: "You are logged into a Facebook account that is not associated with this KIXEYE account, so we cannot verify your identity to change this account's Settings. Please switch Facebook accounts and try again." Send both of your profiles to support to see if they can take a peek. I also removed your email for your protection. Probably don't want it out in the open like that. That is the issue. We cant send any tickets in because it asks us to update are email and verify who we are. But it gives the error code. I spend at lest 10 a week on this game it would be nice to be able to send in tickets. 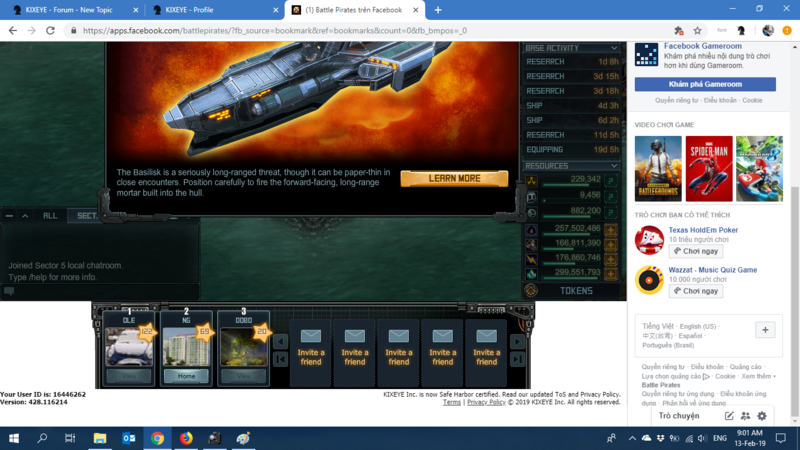 Between this problem and lag that kills fleet that normally repair for free. It is starting to get old. I clicked on the links you gave and it just sent me in the same circle. 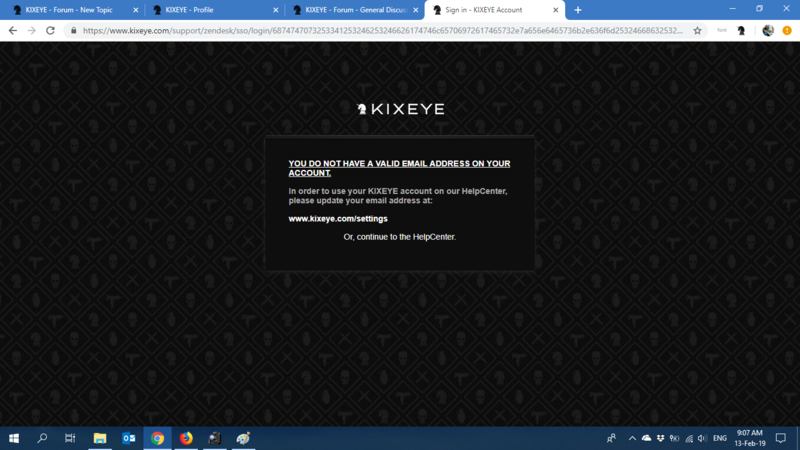 Any other way we can contact support outside of the kixeye page? Yes, I am aware. That is why I sent a message to support to have them look at your accounts to see about resolving the issue preventing you from signing in. You can get on the Battle Pirates Discord channel and chat with them there on occasion. Dear @Templar614, please let me know if any update on this issue, it's been almost 3 weeks. Still having the same issue. gettting really ticked off. I am as well, same exact issue and cannot send a ticket anymore and automatically locked out since yesterday. Please send my account to support as well.